Lenco Diagnostic Laboratories Inc. is a full-service clinical reference laboratory located in Brooklyn, N.Y., that handles close to 2,000 orders per day. Lenco’s team of highly dedicated specialists provide high quality services, competitive pricing, best in the industry turnaround times and a first-time right service attitude, taking great pride in continuously meeting the needs of its physician clients and their patients. Lenco’s laboratory services include basic and specialty diagnostic testing, from blood counts to genetic testing for rare diseases. Lenco has developed a state-of-the art IT department that enables their clients to access patient results from anywhere there is a secure Internet connection. For the past seven years, Lenco has used Lifepoint Informatics Provider Web Portal to give their providers access to concise, up-to-the-minute patient information across multiple care settings anytime and from anywhere. As more of Lenco’s physicians and healthcare providers began to implement EMRs, Lenco needed to seamlessly connect with these disparate systems. “Lifepoint’s EMRHub eliminated building and maintaining custom point-to-point interfaces that we previously relied on. Our IT staff is now more focused on building our outreach business”. Lenco recognized that they had to take a proactive approach to quickly enablethese EMR interfaces to solidify their provider relationships, lock in repeat business, attract new providers and continue their high service standards. 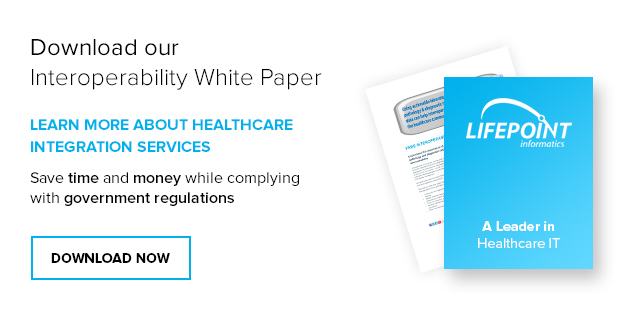 They needed to implement an across the board solution that would eliminate the complexity of EMR interfacing and support all of their providers, from single physician to large group practices, and help them to achieve meaningful use. Lenco implemented Lifepoint’s EMRHub solution to retain existing clients, compete for new business and secure their lab’s foothold in provider-side EMR systems. 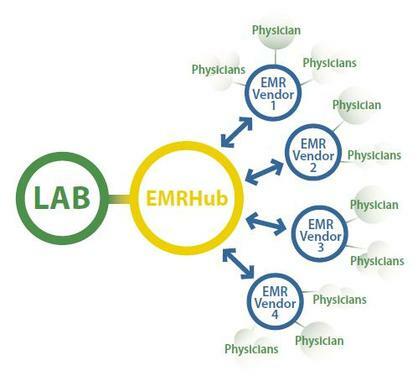 Implementing EMRHub requires only one connection from Lenco’s LIS to distribute lab data to an unlimited number of EMRs and support provider direct order entry. Utilizing EMRHub as their virtual integration platform, Lenco is more responsive to EMR interface requests to continue to support and attract providers. Lifepoint was able to provide rapid implementation for the EMR connections to meet Lenco’s client demand and within 3 months had successfully completed over 100 EMR interfaces, including eClinical Works, Allscripts, Practice Fusion, CureMD OmniMD, SpringCharts, MDLand, GE Centricity and others. Implementing successful EMR/EHR interfaces is not a simple process considering the number of systems in the market and the unique ways vendors address HL7 standards. 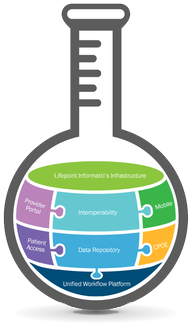 Lifepoint Informatics utilized a unified workflow platform which “simplifies” implementation and interoperability for current and future health information systems. According to Felix Sandler, CIO, “Lifepoint’s EMRHub eliminated building and maintaining custom point-to-point interfaces that we previously relied on. Our IT staff is now more focused on building our outreach business. We benefit from Lifepoint’s vendor neutral approach that allows us to process clinical messages and lab orders with our existing LIS and provider EMRs. The combination of Software as a Service (SaaS) delivery and rapid implementation has delivered substantial cost savings. “We recognize that as more of our providers adopt and implement EMRs their demands on our IT capabilities will increase. We are seeing stand-alone portals and point-to-point interfaces being replaced with bi-directional and fully integrated electronic connectivity options which we can now offer. Fewer of our providers are filling out manual lab orders and we offer providers a quick and efficient way to get them up and running with Lifepoint handling our EMR integration. This has added to our outreach success,” commented Tom Asher, VP of sales at Lenco.